May 2018, the European Big Data Value community gathered in Sofia, Bulgaria, in an event organised by the Big Data Value PPP to strengthen collaborations among community members and increasing the visibility and awareness about the PPP in East Europe in general and Bulgaria in particular. 250 participants coming from the BDVA association, the BDV PPP projects and the local big data ecosystem enjoyed the program after a welcome video speech from Commissioner Mariya Gabriel stating great European ambitions for Artificial Intelligence and Big Data in Europe (see English translation here). The second edition of the event focusing on Impact empowered by Data-driven Artificial Intelligence is called the BDV PPP Summit, it will be held on June 26-28 on the Latvian National Library the prestigious and modern landmark of Riga, Latvia. The first day of the conference will be open to everybody and called the BDV PPP Conference, followed by two days of workshops the BDV PPP Meetup. Activity Groups, Technical and Steering Committees, as well as the BDVA General Assembly, are on the program. We are also launching the Best Success Story award open to the BDV PPP Projects, giving the chance to tell the story on stage and to win free entrance to EBDVF2019 (October 14-16 in Helsinki, FI). the Baltic BDV community and music! Riga is the capital and largest city of Latvia and also the largest city in the three Baltic states. Its historical centre is a UNESCO World Heritage Site, noted for its Art Nouveau/Jugendstil and 19th-century wooden architecture. Riga is enriched and inspired every day by its multicultural community, it is one of the oldest cities on the Baltic Sea. Due to its geographical location on the Baltic Sea, Riga has been an important centre of trade, finance and culture for centuries. Every year Riga hosts large international cultural festivals, the largest is the National Song and Folk dance festival that is held every 4 years and assembles about 30,000 participants and attracts tourists from around the world. 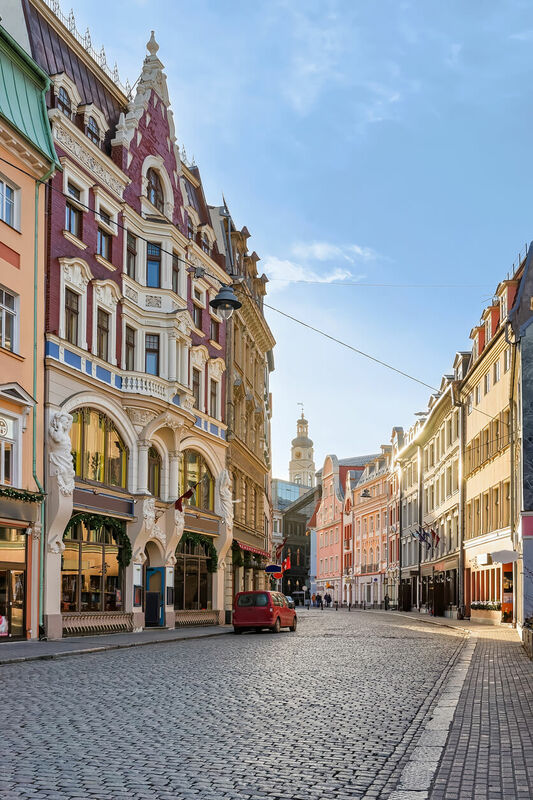 Riga has hundreds of reasons for attracting international students – its rich history, architecture, spacious gardens and parks, museums, art galleries, opera and daily treats like a walk in the enormous colourful central market. Last year we had the pleasure of having a welcoming video-speech from Commissioner Mariya Gabriel stating great European ambitions for Artificial Intelligence and Big Data in Europe. The video is available on YouTube, and you can find the English translation of the speech here.